However, Medicare regulations can change along with health care laws. These changes obviously impact patients who have to ensure they have sufficient coverage for a certain treatment, or be prepared to shell out payment out of their own pockets. However, these changes can affect a doctor’s operations too, particularly those practitioners who are not abreast with the changes in Medicare and medical insurance rules and regulations. One such change was the government’s modifications on the private health insurance rebate and Medicare levy surcharge released by the Australian Taxation Office. 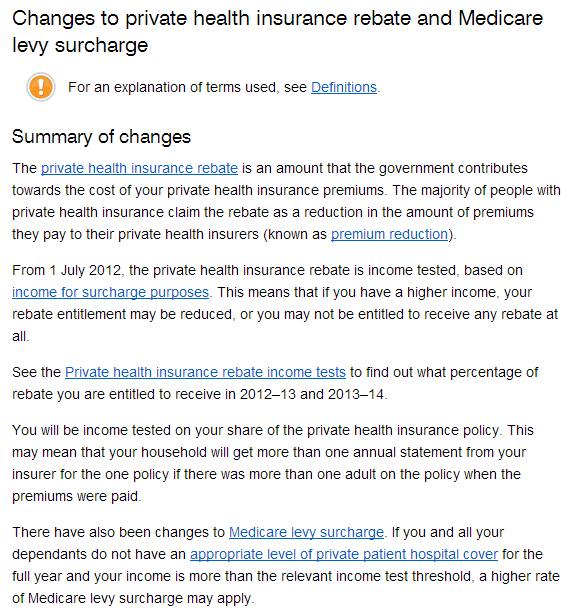 “From 1 July 2012, the private health insurance rebate is income tested, based on income for surcharge purposes. This means that if you have a higher income, your rebate entitlement may be reduced, or you may not be entitled to receive any rebate at all. No rebate on lifetime health cover (LHC) loading from 1 July 2013. The government no longer pays the private health insurance rebate on LHC loading applied to the costs of a policy from 1 July 2013. Doctors have to review and compare past and present policies to ensure they apply the correct coverage when billing for the services they offer. Otherwise insurance companies may refuse to cover expenses in relation to the new rules. This then can lead to financial issues on the doctors’ part, which may take considerable time and effort to unravel. Situations like this highlight the need for the services of medical accountants in Melbourne. Not only can a qualified medical accountant, like those from MEDIQ Financial Services, perform accounting tasks fundamental to the smooth operations of a practice, he can also be expected to be informed of any changes in the legal subsidy systems. This professional’s awareness of such possible changes can help him and the doctor lay down plans or strategies geared to cope with these changes. A medical accountant may be able to create multiple options to protect the medical practice from any issues with insurers and the ATO.